Search for me in the pauses between my words. In the silent moments. That’s where I hide. Look for me beneath the lines of my favorite books. 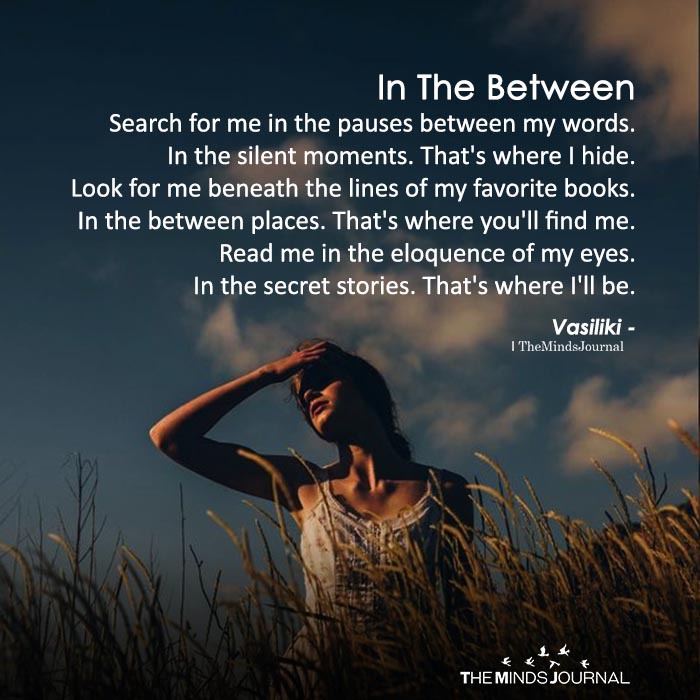 In the between places. That’s where you’ll find me. Read me in the eloquence of my eyes. In the secret stories. That’s where I’ll be.